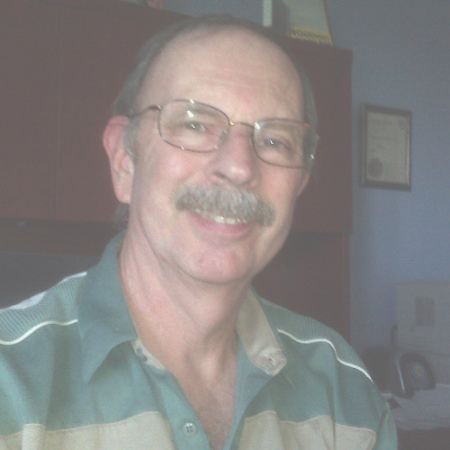 Fred has spent over 40 years in sales, marketing, creative advertising, and as management executive in both radio & TV advertising in the metro New York area. He also served with the NY State (Government) Assembly. He is one of the few marketing firm heads who combines both a marketing and creative background with public service. Fred is one of the rare ad agency executives who began his career as a client, serving as regional marketing associate with major airlines so he knows the tourism industry. With that background, he served as Vice President for Outreach, Public Relations and Marketing for a tourism and travel related firm that serves several cities. In February 1983 he left the broadcast industry to head his own firm that had major national clients including the US Census Bureau, the FBI, the IRS and the US Marshals Service among many other prestigious clients in the private sector such as Benjamin Moore Paints, Longines-Wittnauer Watch Company, United Airlines, and Citibank, among others. His background fortifies his strong reputation in the consumer and travel field. At his company, Tylin Promotions, he believes that the fastest route to marketing success is the development of a strategically distinctive communications concept: STRATEGIC FIREPOWER! It is the heart of his philosophy and the central route of all the activity at the firm. So when he met the founder/ & CEO of the soon-to be formed travel related activity company, they both realized that they had to thrust it into a well-known commodity in the industry. Fred was the man to do it. He handled public relations, advertising and oversaw the reservations staff and all of the promotion and advertising activity. When he finds the time, he hikes and loves every minute of his own time on those trails and travels exploring new sights in the world. He also has become an avid camper. He’s very excited to be part of the development of Salute to Our Heroes themed radio series and renew contacts at public safety agencies throughout the United States. For over 45 years Greenspan’s company has worked with school districts across the country aiding their Human Resource function. He created and produced the National Minority Careers in Education Expo, an annual event that assisted k-12 school districts, community and four-year colleges and universities in the recruitment and retention of professional staff. The venues used were Times’ Square’s Crowne Plaza, Madison Square Garden and the World Trade Center in New York City. The event has also been held in Los Angeles at LAX and Chicagoland near O’Hare International Airport. Fred has now added the d/Deaf Sensitivity Training Class Seminar to his services as well as Traumatic and Acquired Brain Injury. His qualifications come from close contacts within the Deaf Community, and experiencing first hand many of the major issues that face those with hearing loss. He has basic communication skills in ASL and interacts with organizations that serve those who truly want to assist the people who need to learn about understanding others who live in the world of silence. Sadly some do not understand it at all. 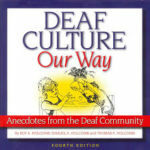 There is constant outreach to other national resources and organizations that have experience with the Deaf Community that furthers his education in that arena. He has consulted with universities that specialize in students who are deaf. His knowledge of TBI & ABI catapulted his reputation nationwide in both subject areas. His training has been given to many law enforcement agencies, city management, airport personnel, including, but not limited to the following: McCarran International Airport, Las Vegas at the training center of the North Las Vegas Police Department & Henderson P.D. and the Regional Public Safety Academy in Reno, NV. In Arizona his classes have been taken by staff of the Mesa, Scottsdale, Maricopa City, El Mirage, Town of Florence, City of Tucson police departments. The Pima County and Maricopa County Sheriff’s Offices sent deputies to the training as well as Tucson City Hall-Human Resources, and the Tucson Police and Fire Departments. In Montana, the class was administered to the Missoula Police Dep’t., Missoula City H.R., Missoula County H.R., Helena Police Department. In North Carolina, members of the Raleigh P.D and surrounding areas took the class and in South Carolina at the Lexington P.D. among many others nationally have improved their service to the community through his training.